As if we didn’t already know that life on the Mediterranean is much better for our health, than the hectic city life and fast food of metropolises, it turns out that new research published this week in the British Medical Journal reveals that a Mediterranean Diet is amongst the healthiest out there. But while you may imagine strolls on the beach and kilos of gelato to take home, like many trips to Italy undoubtedly have, the diet that Harvard researchers investigated for the study was the trademark diet known of the Mediterranean – rich in olive oils, fish, vegetables, legumes and low in sugar. With a little added touch; a glass of wine traditional with every meal. And what the researchers found is that women who follow the strictly healthy fat diet have significantly longer life spans than women who don’t have a healthy diet – keeping them younger and in better health for years more than the global average. Studying nutritional data from 4,676 participating in the Harvard Nurses’ Health Study, the research team was able to determine which individuals’ diets were the healthiest. And what they found was that women whose dietary habits hewed significant similarities with a Mediterranean diet had elongated telomeres at the ends of their DNA, giving them longer cellular life-spans and healthier skin as a trade-off. Rich in vegetables, fish and wines, who have antioxidant and anti-inflammatory properties by nature, the Mediterranean diet proved effective in protecting the cells of an individual’s body from aging, however, researchers were not able to isolate one component that worked better than the rest. 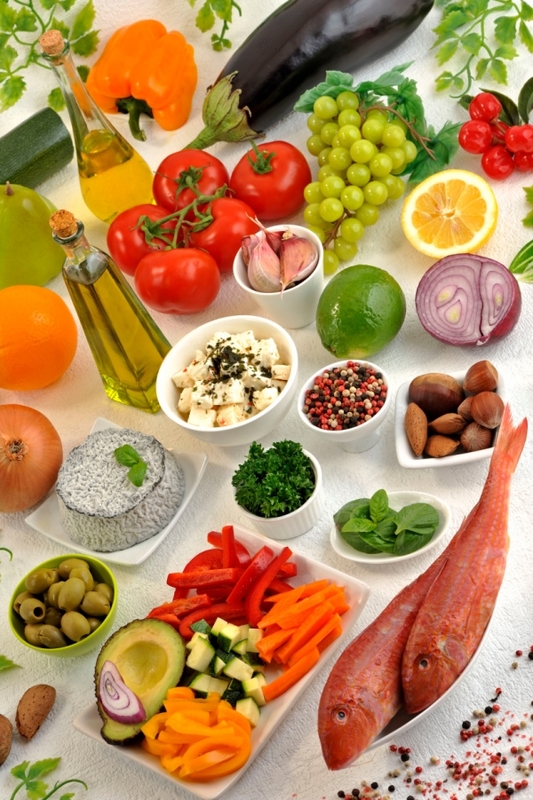 Rather, the team found that in combination, the more dietary components aligned with a Mediterranean plan, the longer they could expect a patient’s telomeres to be. Ruling out other covariants and lifestyle factors in the process, such as level of exercise, smoking and age, the researchers were able to find that the telomere length and 0 to 9 point scale used for the study could predict added length in age up to 13.5 years. New York University nutrition professor Marion Nestle did warn that the findings be interpreted with caution as the methods to the research were not exact. But there was a silver-lining after that. This entry was posted in Chalkidiki Olives, green olive products, Health, Inolivia pitted, R&D, Recipes and tagged Greece, health, Healthy food, inolivia, lifestyle, Mediterranean, olives. Bookmark the permalink.